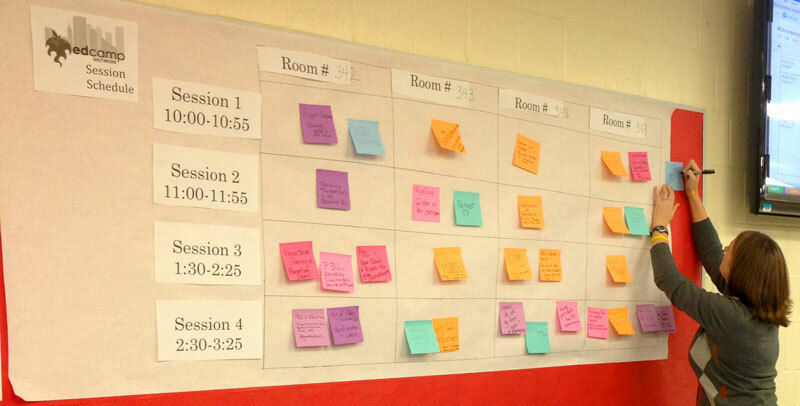 On November 10, I attended Edcamp Baltimore and had a great time! I came back with a host of new resources to check out and strategies to share with other teachers at my school. Below are links to online resources that I wanted to check out, as well as my notes of all the sessions I attended. To access other resources shared during Edcamp Baltimore, check out the Edcamp Baltimore website and Storify. To learn more about Edcamps, visit http://edcampfoundation.org/vision/. Tioki – Teachers connect with other teachers based on mutual interests. Kickboard – a social media site to develop classroom culture, academics, and build strong relationships with students and parents. Twiducate – Social networking for schools. Free for teachers. Clustrmaps – Know who is accessing your blog from across the world with this visual.